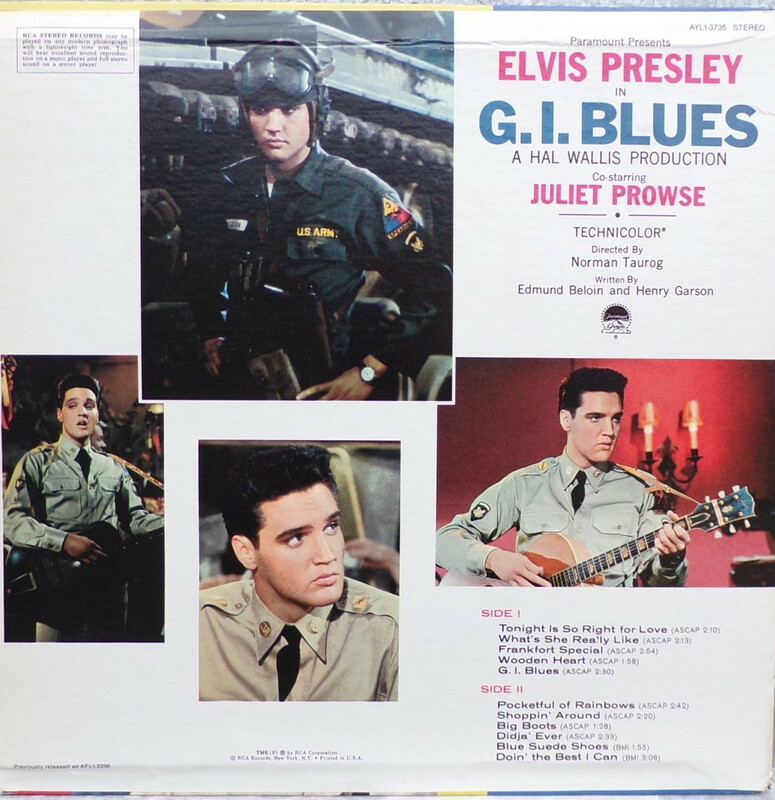 Front Cover : Elvis in army uniform. Movie title to left in blue. Catalogue number top left. 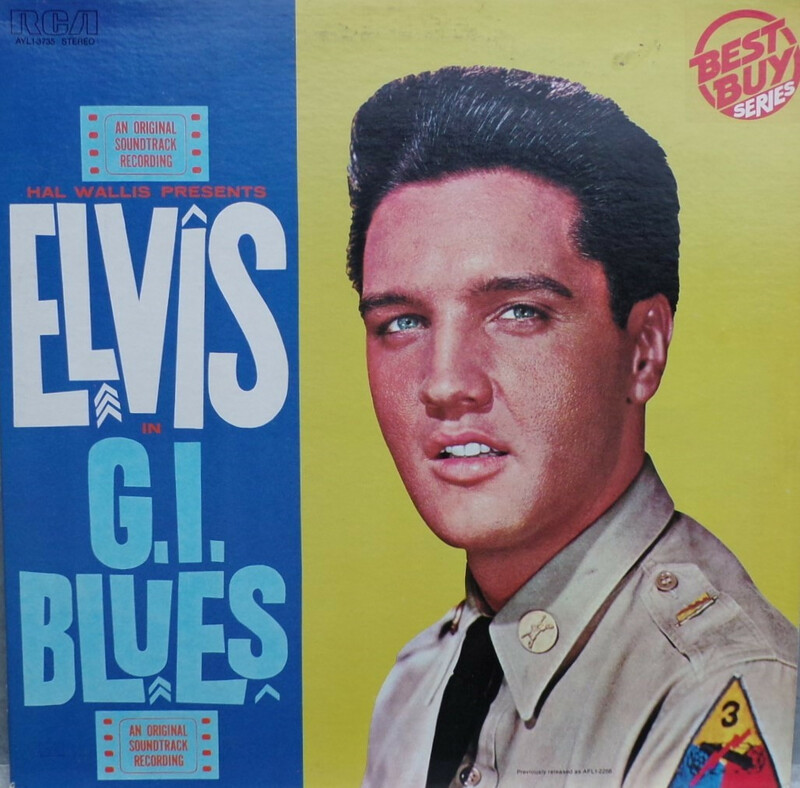 Rear Cover : 4 coloured photos of Elvis. Catalogue number top right. Printed in U.S.A. bottom. Label : Black with dog on side. Flexible vinyl. *NOTE* Front cover "Previously released as AFL1-2256" bottom right. 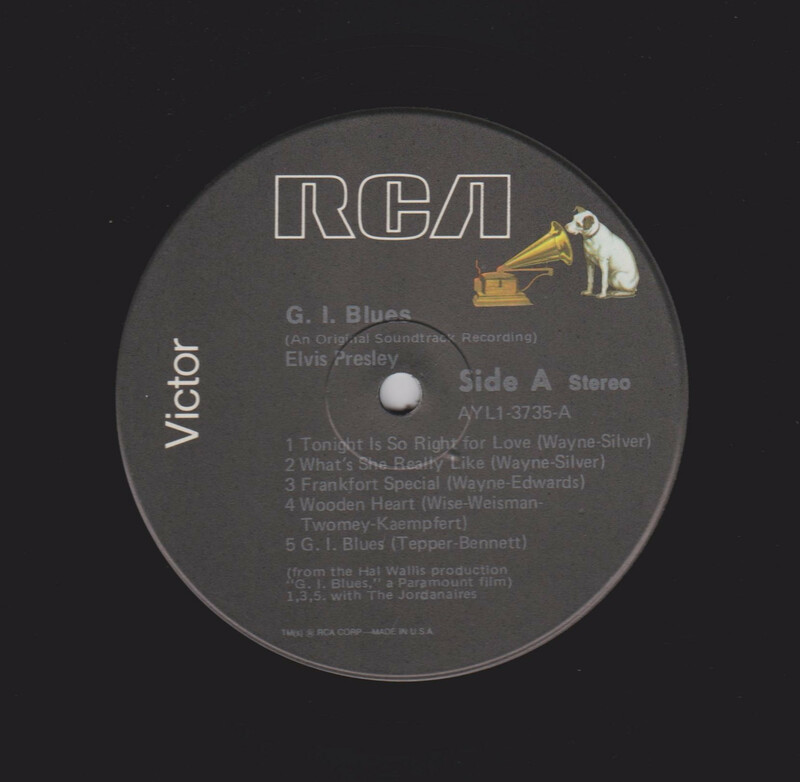 Rear cover "Previously released as AFL1-2256" bottom left. Printed on front cover top right "Best Buy".